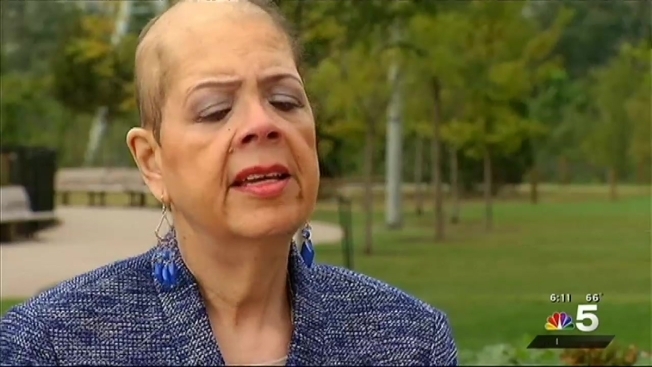 It’s been one year since Chicago Teachers Union President Karen Lewis was rushed to the hospital with stroke-like symptoms. Lewis was diagnosed with a brain tumor and had surgery days later. After a year of chemotherapy and radiation for her brain tumor, Lewis has changed in appearance, but not in tone. On Tuesday, she spoke of her recovery and her plans for the future in an exclusive interview with NBC 5's Carol Marin and Mary Ann Ahern. Lewis took off her hat for the first time publicly in an exclusive interview with NBC 5 reporters Mary Ann Ahern and Carol Marin. She said her doctor “got 97.97 percent of the tumor” and her last MRI showed no sign of the tumor. "There were a lot of good factors for me," she said. "One was where the tumor was, it was fairly close to the surface, the frontal lobe." 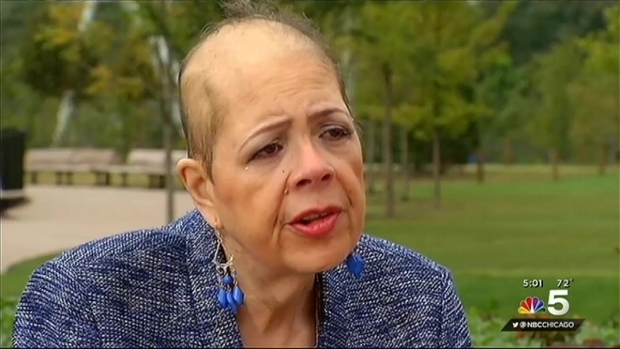 Lewis took off her hat for the first time publicly for this interview and revealed one side where the tumor was removed is nearly bald. Her hair is growing back slowly. But losing her hair was the least of her troubles, she said. "Physical therapy, occupational therapy, speech therapy, all these things you have to do to get better," she said. "Hair grows back right? What else am I going to lose, am I going to be able to talk, am I going to be able to think?" Lewis discussed politics from Mayor Rahm Emanuel to Governor Bruce Rauner and whether the Chicago teachers might strike. Her immediate goal, she said, is “to run for another term as CTU president” in May. "I'm not weak mentally, and I'm not weak emotionally," she said. "I'm certainly not weak when it comes to have a conversation with someone." Lewis has lost about 200 pounds, but said she's not done letting others see her as she is. "Most people don't want to talk about cancer, because it makes people uncomfortable," she said. "But I say let's talk about it, let's put it out on the table, let's show our [hair]-do, let's be forward." More to come on NBC 5 at 5 p.m. and 6 p.m.